As I shared in a couple of my (pre-scheduled) posts last week, I was out of town. Not just anywhere out of town, but Dan and I traveled to Europe for a little Babymoon! Really, we needed to hit a couple more stops from our honeymoon journey last summer that was cut short due to a family emergency... so when Dan had a two week break from his graduate school classes, we decided, "why not?" We followed Space A Terminal Facebook pages. Actually, we stalked them. And it worked! We were able to fly to and from Europe for exactly $46 total... but more to come on that in another post later this month. *Note: that amount does not reflect what we paid once we were in Europe to travel between the three countries we visited. That right there? That's a C-17... which was our very first ride. 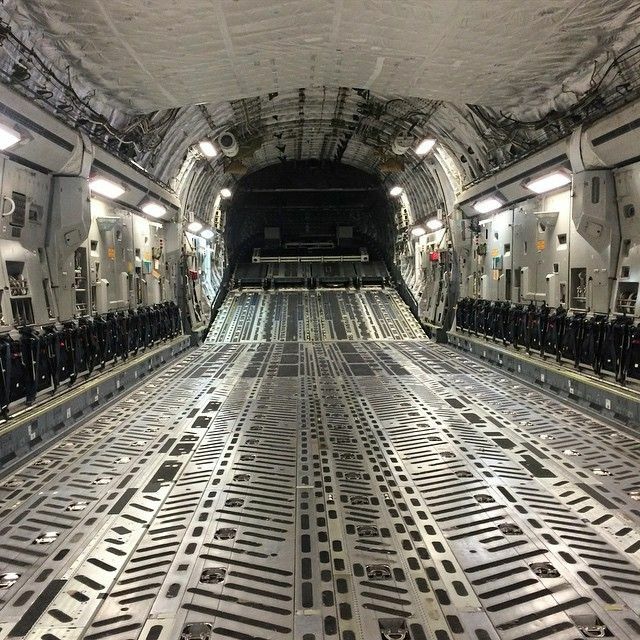 We flew from Wright-Patterson AFB (where Dan is stationed) to Naval Station Norfolk on a C-17, and it was pretty cool! There was only one other couple on the flight, and we had ALL that space to roam around in. The flight we were planning on taking out of Norfolk to Spain was delayed 24 hours, and we didn't want to wait... so we rented a car and drove four hours to Baltimore because they had a Space A flight going out that night to Germany... which actually ended up being a better starting location than Spain, so it was a win/win. From Ramstein Air Base, Germany, we took a train to Baden-Baden, Germany, where we flew to London Stansted airport and stayed with our British friends for a few days. We explored the city and even went to Cambridge, where we went punting and had afternoon tea. It was a blast! From London, we flew to Warsaw, Poland (because it was cheapest) and then took a train from Warsaw to Krakow that evening since Krakow is actually the city we wanted to spend time in. I have dreamed of visiting Krakow since I was in 7th grade and first became interested in learning about the atrocity known as the Holocaust. It was a goal of mine to go to Auschwitz, and when we didn't make it there last summer, my heart was broken. Not anymore! We went, and it was everything I expected it to be and more. From Krakow, we flew to Frankfurt and took a train back to Ramstein Air Base, where we were able to get on a C-5 to return to the USA. We made it to Dover Air Force Base and took a cab to Philadelphia, where we were able to redeem airline points for a flight back to Dayton! If you ave Space A privileges (military) and haven't used it yet, you should! It's an amazing benefit we have, but like I mentioned, I plan on writing a comprehensive guide to Space A travel later... so be on the lookout for that! I will follow up with separate posts for London, Cambridge, Krakow, and Auschwitz later this month because we took way too many pictures to display here alone. What's your favorite thing there? Wow that sounds like such a fun babymoon! I can't wait to read your post about flying Space A...we haven't used it yet but it's definitely something I'd like to give a try. This sounds amazing! I can't wait to read the rest of your posts! I have mixed feelings about Space A. Before we had a kiddo, I thought it would be awesome! But...truthfully I am such a planner (and get stressed out if things are planned correctly) so...I'd have to really check my attitude ahead of time and just go with the flow. I definitely don't think I would want to do it with a toddler in tow (at least going OCONUS)!! I would LOVE to see if Wright-Patt has regular flights to MacDill AFB. My family has a condo nearby so if we could fly Space A, we could have a Florida vacation without paying for lodging or flights - that would be great! I've thought about space a travel but it terrifies me!!!!! I need a schedule of EVERYTHING, and the uncertainty of it scares me. Lol. That's so awesome yall had a positive experience with it! My friend Laura traveled Space A for literally the entire 60 days after graduating from the Academy last year. I was so jealous of her travels across Asia and Europe. I'm jealous, I so want to try Space A. I tried convincing the husband we should give it a shot when we go to Europe in May, but he's too concerned about the return flight to the U.S.
Love it! I follow all of the Space A terminals on Facebook, and we are definitely planning on utilizing them in the future. Can't wait to hear more about your trip! That's so awesome that you had great luck flying Space A! As a kid my family flew space A to hawaii and had a great trip! I definitely want to do it again as an adult! How.Freaking.Awesome! I had NO idea you could fly that cheap!!!!! We've tried to fly Space A a few times but it never ended up working in our favor that they were flying where we wanted/needed to go around the dates we (Nick) had available.